This is welcome news for Ducati, as the Monster 1200S still remains appealing after 20 years of production and nearly 275,000 models sold. Visitors to the show cast their votes for the show’s most appealing motorcycle. 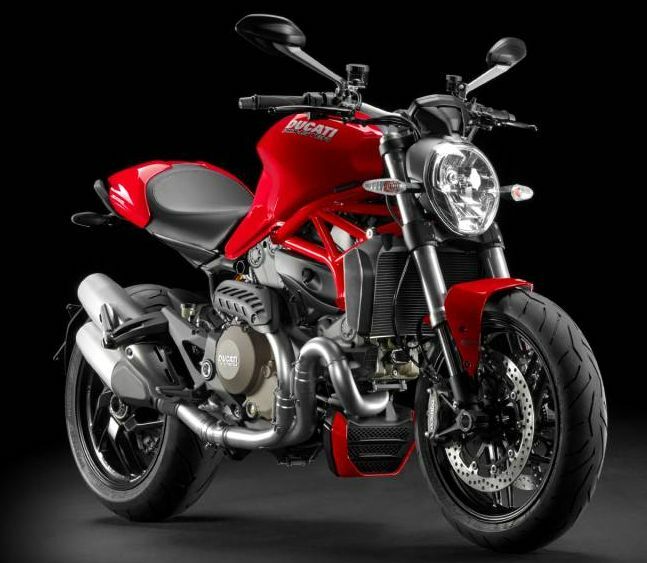 The 2014 Ducati Monster 1200S was the top pick, followed by the MV Agusta 800 Turismo Veloce, the Aprilia RSV4 Factory ABS, the BMW R nineT and the Kawasaki Z1000. More than 10,000 people cast their ballots to determine the winner. 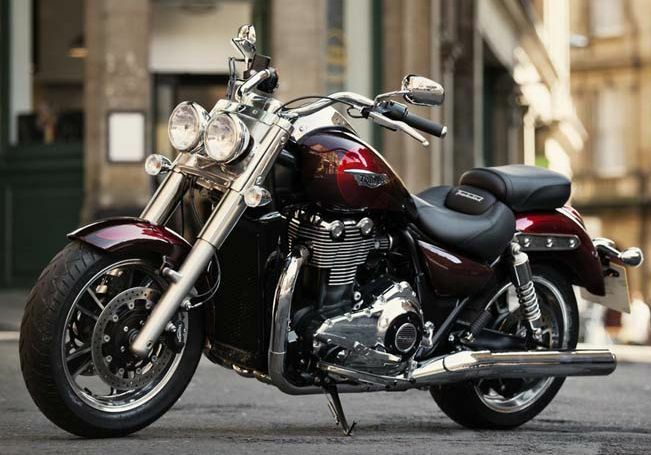 Triumph Motorcycles has recently revealed two updated versions of its Thunderbird cruiser: the new for 2014 Thunderbird Commander and Thunderbird LT (Long Touring). 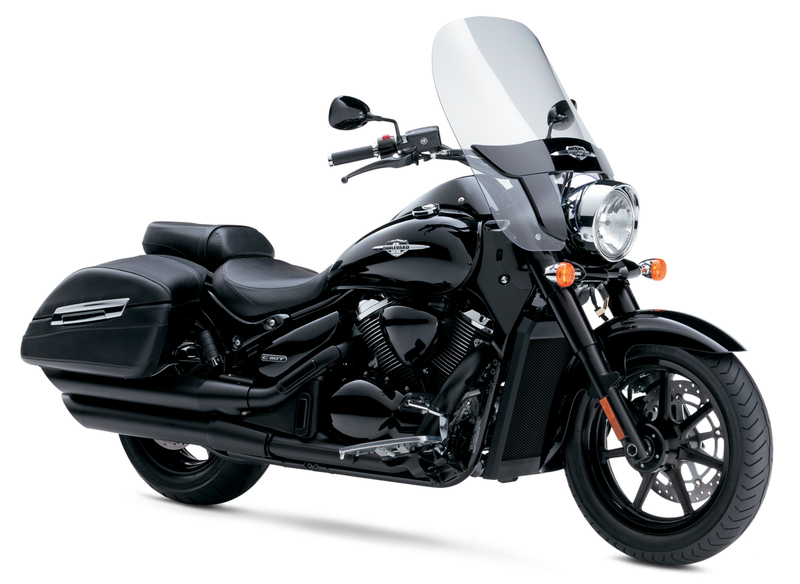 In both of these new cruisers Triumph has made dimension changes that create a bigger ride that boasts improved power and torque over the baseline Thunderbird. Using the liquid-cooled DOHC parallel-twin found in the Triumph Storm (1699cc) this engine is now yielding a claimed 93 hp and 111 lb-ft of torque. Equipped with multi-point sequential electronic fuel injection, six-speed gearbox, and chromed twin-skin stainless steel 2-1-2 exhaust system these will be awesome machines! With any luck we will be able to check these two new beauties out at the Progressive International Motorcycle Show in Minneapolis on January 17 to 19, 2014. 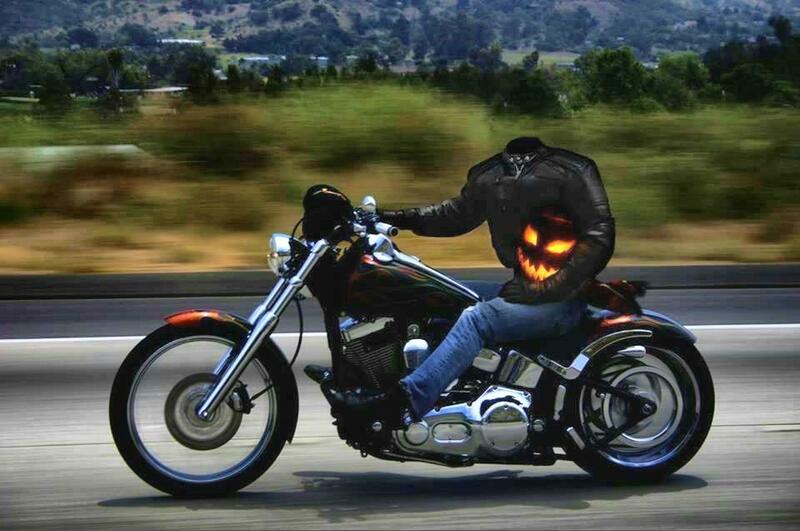 I have to thank Val for sending me this picture, it seems to capture the spirit of Halloween quite well! Your November newsletter is now available, check the link above. 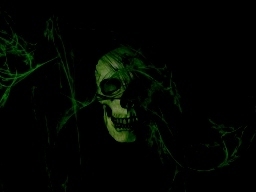 Although I am now officially retired, it is going to take a while for me to get the real hang of it. I've been making fun of ROG's (retired old geezers) for so long now I'm not sure if I can just quit cold turkey. But I'll try and control myself a little bit at least. It's November now and most of us here in the Far North have put our bikes away for the winter. Now we can start looking forward to going to one or more of the bike shows that wind their way across the country in the winter. For us here in Thunder Bay the closest one will be in Minneapolis, Minnesota on January 17 - 19, 2014. I'm hoping to get there, who knows - there may be a new bike in the cards for next year... One can hope! The Advanced Corona Ignition System - Is this the next breakthrough in fuel economy? Researchers in Europe have developed a new take on the humble spark plug. Scientists claim that the replacement for the spark plug will allow manufacturers to run higher levels of exhaust gas recirculation (EGR) resulting in up to 10 percent fuel savings. 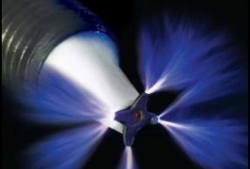 Its Advanced Corona Ignition System (ACIS), as the new technology is called, features a four-pointed star transmitting a low current 25,000 volt discharge that creates ultra hot plasma. Running at 1 Mhz the high intensity plasma stream excites the air-fuel molecules into combustion whereas a conventional spark plug relies on ignition. . . . Cool, Eh?! This sounds like some interesting technology. We've had almost two half-warm days so far this week... Is that the start of a warming trend? If so then someone should start talking to the five-foot-tall snow banks in my back yard. 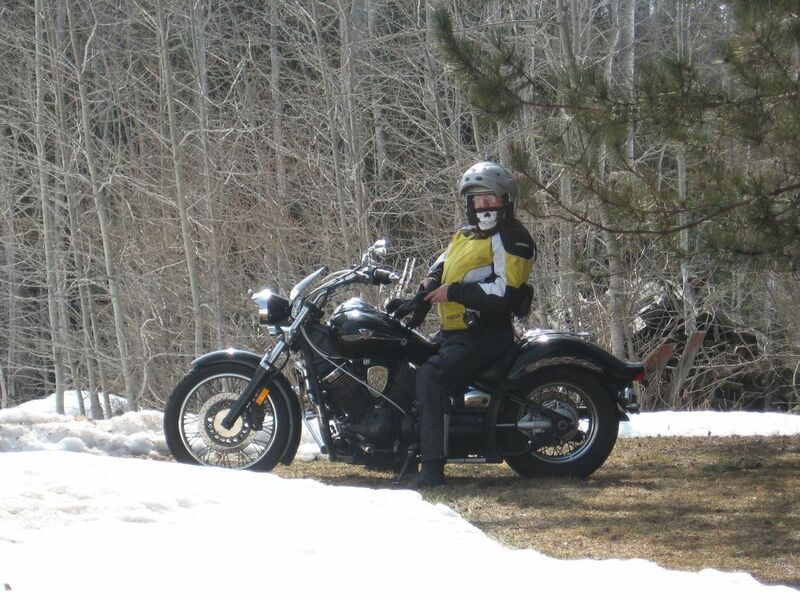 Notwithstanding the cold and crappy weather that we've been having this "Spring" there has been the odd bike out on the roads for those brief periods that the sun comes out and the temperature climbs up above freezing. So kudos to those brave fools that can get their bikes out of the garage and are hardy enough to get out and "Just Ride"! By the way, did I mention the five-foot snow drifts in my back yard? Yamaha introduces the all new 2014 Bolt! Yamaha Motor Canada is proud to introduce the 2014 Yamaha Bolt. 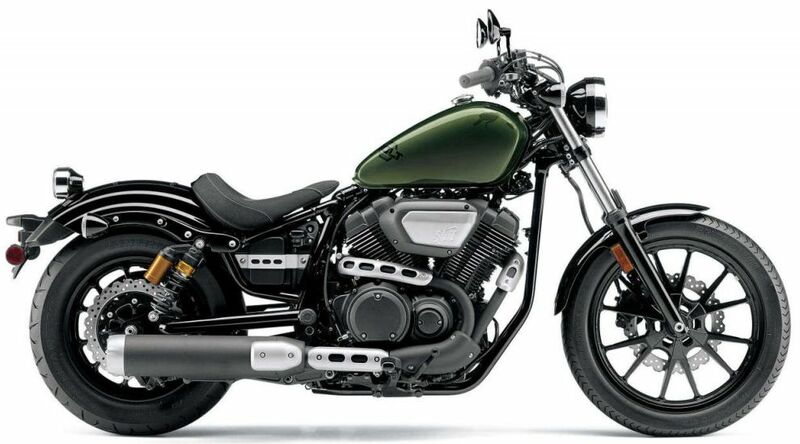 Powered by the fuel-injected, 4-valve, V-Star 950 engine, the Bolt showcases an all-new “less is more” design. According to Yamaha, the Bolt is simple and compact, with a low seat height, and offers light, agile handling that instills rider confidence. A new breed of “crossover”, the Bolt is a blend of cruiser features in a chassis that offers a more natural, upright riding position. The Bolt should be available in dealerships by the end of April and will be offered in Bluish White Cocktail and Metallic Black. The Bolt “R-Spec” will be available in Mat Metallic Gray and High Sparkle Green. There's a new sheriff in town and her name is Rachel Homan! Ontario's Rachel Homan showed her mettle as a skip and her skills as a team leader Sunday at the Scotties Tournament of Hearts in Kingston, Ontario. Her and her teams efforts paid off with a 9-6 win over Manitoba's Jennifer Jones and her first national women's curling title. The 23 year old Homan displayed steely determination all week, losing only one game in the round robin to Jennifer Jones, but she and her team put it all together to win the 1-2 playoff and the final gold medal game. 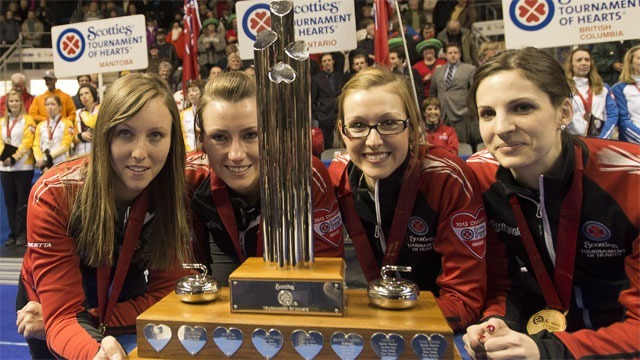 Homan and her Ottawa Curling Club team of Lisa Weagle, Emma Miskew, Alison Kreviazuk and alternate Stephanie Drew will now represent Canada at next month's world women's curling championship in Riga, Latvia. UPDATE: In case you don't follow curling as close as some of us... Rachel Homan and her Ottawa Ontario team has picked up a Bronze medal at the Worlds Women's Championship in Latvia. Congratulations again for representing Canada so well! The Rain of Fire Begins! 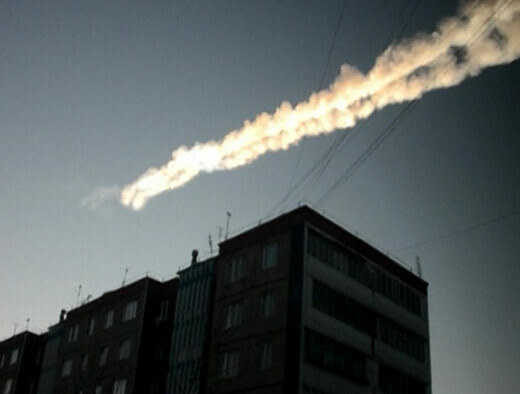 Russian news reported that a meteor (now being reported as being about the size of a bus) streaked across the sky Friday morning over the town of Chelyabinsk (east of Moscow) leaving a thick white contrail and creating an intense flash. A sonic boom from the meteor blew out windows in local houses and apartment buildings, collapsing the roofs of a couple of buildings and injuring over 1000 people, mostly from flying glass. This event happened just hours before asteroid 2012DA14 was to make the closest recorded pass of an asteroid past earth – about 28,000 kilometers. Of course not everyone believes that it was an extraterrestrial event, Vladimir Zhirinovsky, the nationalist leader noted for vehement statements, said "It's not meteors falling, it's the test of a new weapon by the Americans," the RIA Novosti news agency reported. The Apophis meteorite was named after an Egyptian demon of destruction, and for good reason - every now and then it keeps buzzing past our planet, a little too close for comfort! 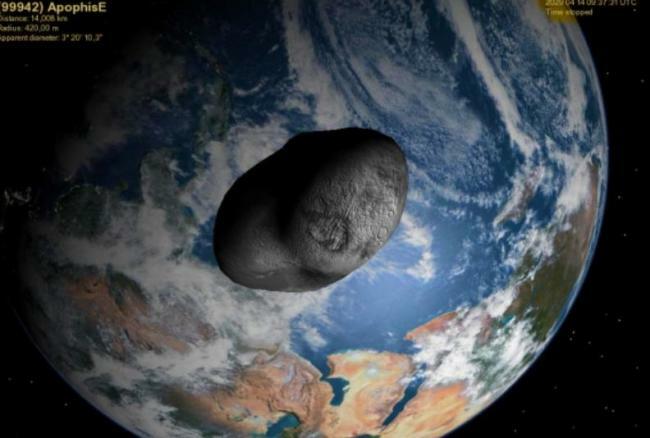 Tonight the 275 meter object will pass at about 15 million km from the Earth. The moon for example is 400,000km from Earth, so we're safe for now. If it did ever collide with Earth Apophis would generate a blast equivalent to over 500 megatons of TNT - 9 times bigger than any bomb ever detonated on our planet. American Suzuki recently took the tough step of filing for Chapter 11 bankruptcy and ceasing auto sales in the U.S., which will allow it to focus on its motorcycle and marine business. The plan has already resulted in its powersports lineup swelling from just 10 bikes and ATV models in 2010 to 47 for 2013, including 36 motorcycles. One of the new introductions is this, first for Suzuki, blacked-out 2013 C90T B.O.S.S. The bagger features all the highlights of the C90T, including its 1462cc long-stroke, liquid cooled 54-degree V-Twin, and created a more sinister look by blacking out the engine, wheels, exhaust, frame and forks, among others. Although the looks of the BOSS are bold, the comfort and features of the C90T remain, including the hard side luggage, large windscreen, spacious riding position and suspension set up for comfort. NASA has done it again! 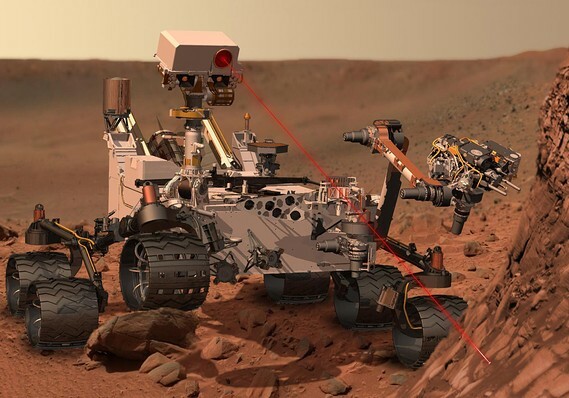 After traveling for more than eight months, over a distance of 350 million miles, NASA's one-ton, nuclear-powered, six-wheel drive rover, Curiosity, has successfully touched own on the surface of the Red Planet. Curiosity's entry, descent and landing — called "EDL" by NASA engineers — was the most ambitious the Agency had ever attempted. From the top of the atmosphere to the surface of the planet took just seven minutes, but it involved slowing the rover from over 13,000 miles per hour to a complete, safe, and total stop on Martian terrain. That’s got to be an impressive breaking system! Since landing on Mars this past week the rover has performed flawlessly, and is starting to send back high-resolution photographs of the Martian landscape. During its two-year mission, the roaming laboratory will analyze rocks and soil in search of the chemical building blocks of life, and determine whether there were habitable conditions where microbes could thrive. As high-tech as Curiosity is, it can’t directly look for past or present life; future missions would be needed to answer that question. Lets hope that Curiosity does find some signs of intelligent life on Mars, Lord knows that there is precious little here on Earth. IT'S GETTING CLOSER TO SUMMER AND THE AGE-OLD QUESTION EMERGES ONCE AGAIN: TO WAVE OR NOT TO WAVE! It happens every year around here, as we start to get some warm riding weather and finally get out on the road we're so happy to be riding again that we just wave at everybody. But is that 'proper' biking etiquette? If you ride a motorcycle, you know about “The Wave”. “The Wave” is your rolling connection to the biker brother & sisterhood, but is there a special secret to this wave? Are we supposed to wave at everyone, do we only wave to certain makes of bikes, do we only wave to certain types of helmets, what about windshield vrs no windshield, do scooters count, and what about bicycles (I hear that some places it is normal to wave at bicyclists), and, horror upon horror, what if the rider you wave to doesn't wave back???? All these questions. My head is starting to hurt. In reality though, I've made it easy for myself, I wave at anyone and everyone. It's a small gesture that isn't going to hurt anyone and may just make someone's day. I wave at the guy mowing his lawn on his riding lawnmower, hey who knows maybe he'd rather be riding a bike. I wave at the kids screaming along the sides of the road on their dirt bikes, who knows maybe they'll be riding street bikes in a few years. So, to wave or not to wave? Well, if you see me on the road I'll be one of those crazy fools that is waving to you, and if you do or don't wave back that's okay because I know that I've done my part to pass along a bit of good will. Well, that was worth the wait! As predicted I did manage to get the bike out for its 2012 maiden voyage yesterday. The temperature only made it up to about 10 degrees C, but that's not bad for riding weather as long as you're bundled up. The use of a Gerbing's electric jacket liner doesn't hurt either. The bike ran great as well. All of the work that I did on it last fall and over the winter came together and the bike is running great. As usual, we have to be careful when we are out on our first few rides of the year. Riding skills get rusty when the bike is parked for three or four months. We have to take it easy, practice our starting and stopping and regain the "feel" and the balance of our bikes. We also have to reacquaint car-drivers with motorcycles. In the spring they have to re-learn to look for us.